In 1995 it was commemorated that 50 year ago World War II ended and therefore Air Base Soesterberg was open to the public from April 29th to May 7th. 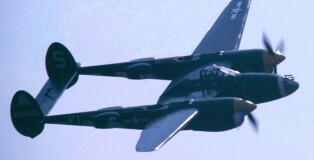 Each day there were flying activities and demonstrations in the sky , given by a number of Warbirds that were present. Hans made a selective photo-report.